In past issues of the LSN newsletter, we’ve spoken at length about how venture funding the life sciences space has become increasingly scarce, especially for early stage companies in the sector – basically, the number of venture capital funds has significantly decreased, and those that are left are investing in later stage companies and are much more risk-averse. Those that remain are mostly the large, well-known and well-capitalized firms. However, a new group of venture capital investors are emerging on the scene, and these investors – known as social venture funds – have a much different philosophy than their traditional venture counterparts. Social venture capital firms are similar to traditional venture capital firms in the sense that they are investing in early-stage, often pre-revenue firms. The major difference between the two, however, is that generating ROI is secondary to creating social impact for the social VC. In the past, it was very difficult for firms focused on making a social impact to receive funding, because investors perceived that there was some kind innate tradeoff between making a socially responsible investment and generating a financial return. Despite this fact, the number of social venture capital funds has started to increase as of late. Social venture capital firms are similar to venture philanthropy firms, another group of investors who we discussed in depth in a previous edition of the LSN newsletter. Venture philanthropy firms, however, are often formed as the venture arm of a foundation or family office, with the goal moving the science along for a certain indication. Social venture funds, on the other hand, have a broader investment mandate, and are structured from the start as a venture fund. In the past, social venture capital funds mainly focused on supporting green technologies. However, the scope of their investment focus has widened significantly in the past few years to many different kinds of investments that are making some kind of social impact, which has lead these firms to consider themselves as “impact investors”. Unlike traditional venture capital firms, social venture capital funds aren’t investing in a large number of small opportunities, hoping for one blockbuster investment. Instead, they are investing based on what they believe will have the largest social impact. Furthermore, they tend to have longer holding periods than traditional venture capital firms – usually around seven to ten years. 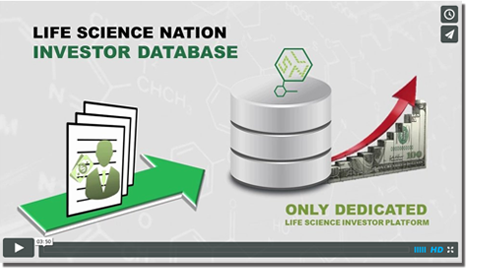 In the life sciences investments specifically, these firms are allocating in many different areas. During a recent conversation with an LSN analyst, one east-coast based social VC noted that they were extremely opportunistic in terms of their allocations within the life sciences space. The firm invests in companies developing therapeutics, diagnostics, medical devices, and even has an interest in the biotech R&D services space, such as contract manufacturing organizations (CMOs). What this suggests is that these funds have a much broader scope than venture philanthropies, which typically invest in therapeutics, diagnostics, and sometimes medical devices targeting a specific disease area. Ironically, many social venture capital firms have actually outperformed their traditional venture capital counterparts in terms of ROI. As traditional venture capital firms begin to dwindle, and the need for capital in the life sciences space becomes greater, it seems as if more and more of these social venture capital firms will begin to emerge as players in the life sciences arena, especially if investors begin to realize that social impact does not hamper financial returns.